John Street is an award-winning entrepreneur who has launched many new businesses, including three that garnered Inc. 500 status. 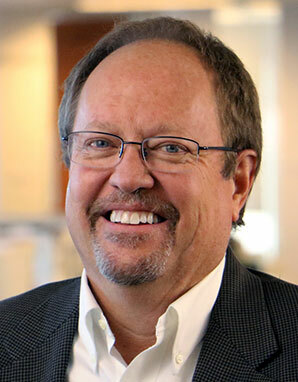 John has served on several commercial Boards and has been involved in a wide variety of startups, ranging from telecommunications and high tech to agricultural biotech. John has also served on many civic boards. He is currently Chairman Emeritus of the Colorado Springs Philharmonic, where, through his long-term involvement, he was largely credited with turning around from near bankruptcy to a thriving, growing institution. His civic efforts also include his work as a Peace Corps volunteer in the Philippines in the 1980’s. John moved to Colorado Springs in 1986 to help turn around a struggling long distance service provider. As Telephone Express, they grew the enterprise into the largest Rocky Mountain based long distance service provider with annual sales of $85M (achieving an Inc. 500 ranking of #13 in 1992). John was recognized regionally as EOY’s Entrepreneur of the Year in 1995. John branched into internet services in 1992 and in 1995, founded USA.Net, which launched the world’s first web-based email service. At its peak, USA.Net had 33 million users. He grew his Colorado Springs staff from 17 people in 1997 to over 500 in 1999. After leaving USA.Net in 2000, John founded MX Logic in 2002, which by 2009 became one of the world’s largest providers of email and web security and is now part of McAfee/Intel. John’s most recent startup, Pax8 (founded in 2012), is redefining distribution for cloud IT services, aggregating leading solutions for outsourced IT service providers to efficiently manage their clientele’s cloud operations. He also serves on the Board of several new startups, including his role as Chairman of MS Biotec, an innovative agricultural biotech organization pioneering the use of introducing natural microbial organisms into the rumen of feed animals to increase the efficiency of their digestion. A musician at heart (he plays clarinet and piano), John is the executive producer of “Jumpin’ Jazz Kids – A Swinging Jungle Tale”, which was a Grammy finalist in 2013. His clarinet work on the recording (he was coerced into it) was thankfully enhanced by the recording engineers to ensure that it did not detract from the performance of the true professional musicians who contributed to this outstanding work. He is also a co-producer with Steve Barta of the newly released orchestration of Claude Bolling’s classic work “Suite for Flute and Jazz Piano”. John is a graduate of University of Notre Dame and is a CPA. He is a long-term member of YPO. He and his wife Mary Beazley have two great kids, Alice and Ethan. Alice is a sophomore at Colorado State and Ethan is a senior in high school.